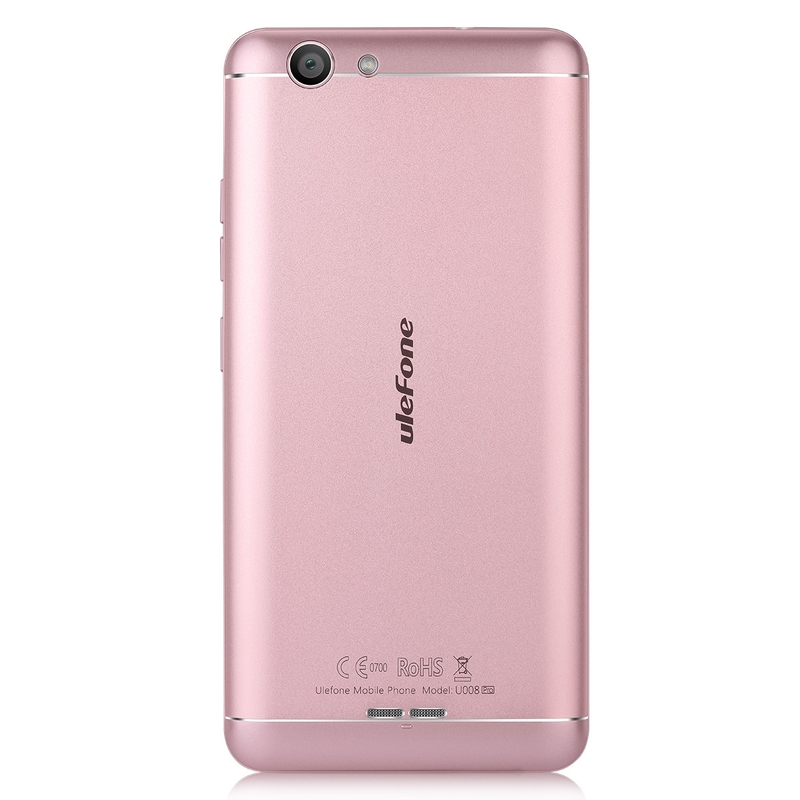 CNC cutting and grit blasting has offered Ulefone U008 Pro with delicate texture. 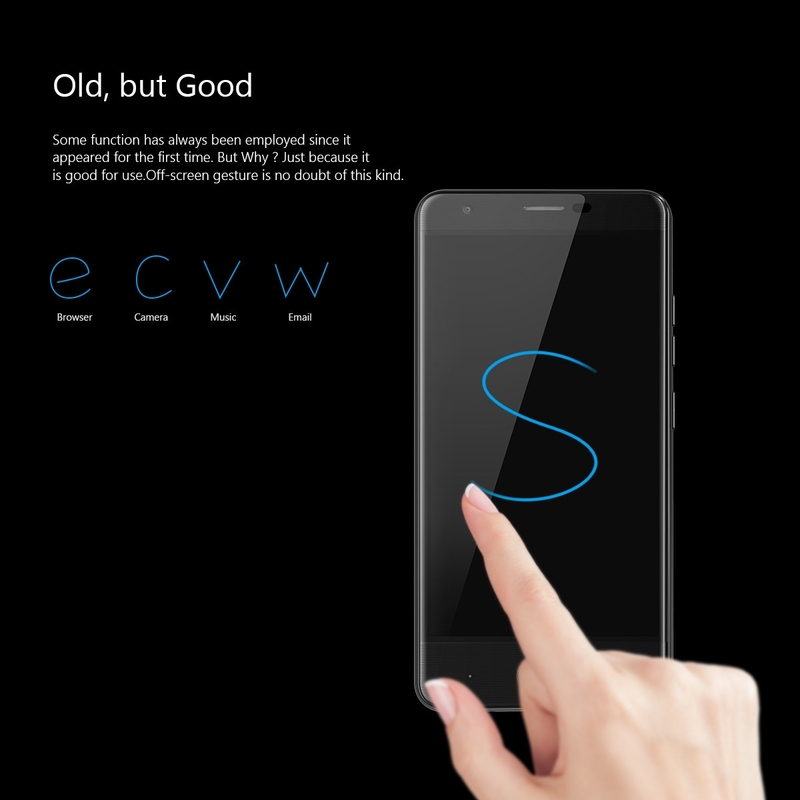 Curved edges can best fit into your palm while delivering visual thickness to only 6mm. 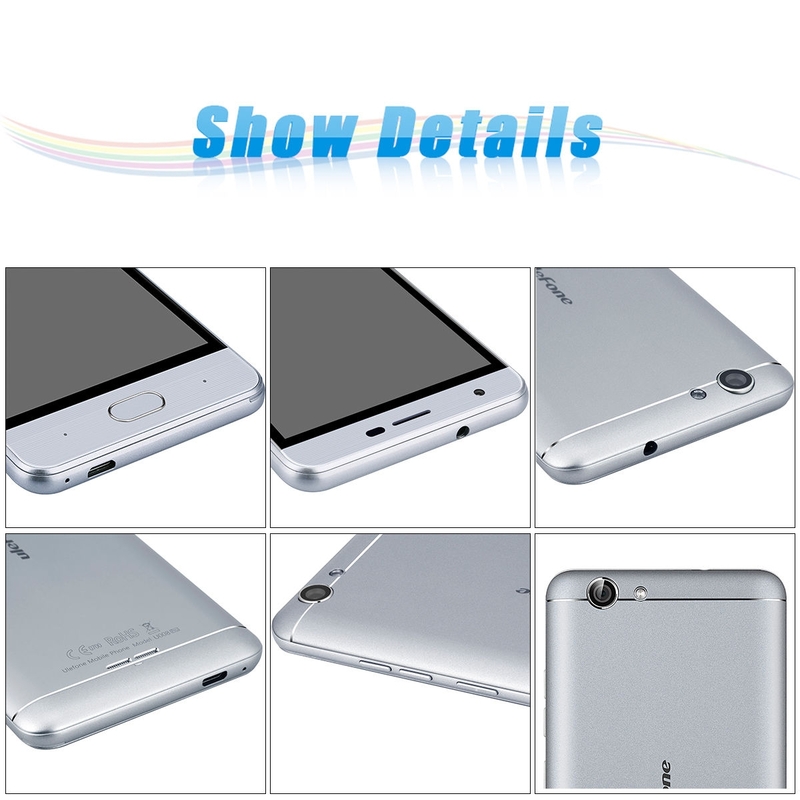 And U008 Pro is the golden width for single-handed operation. 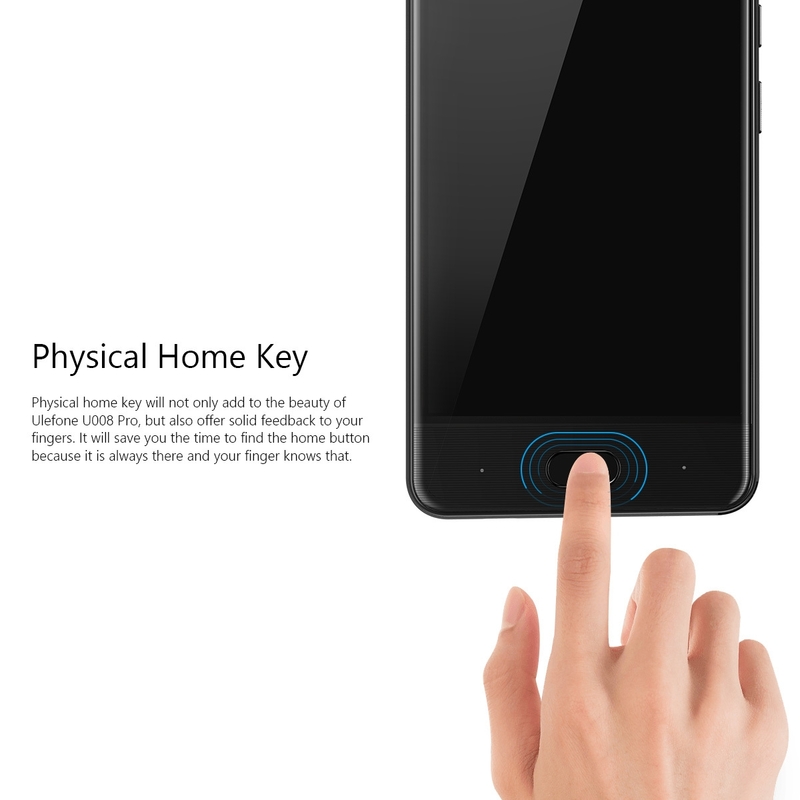 Physical home key will not only add to the beauty of Ulefone U008 Pro, but also offer solid feedback to your fingers. 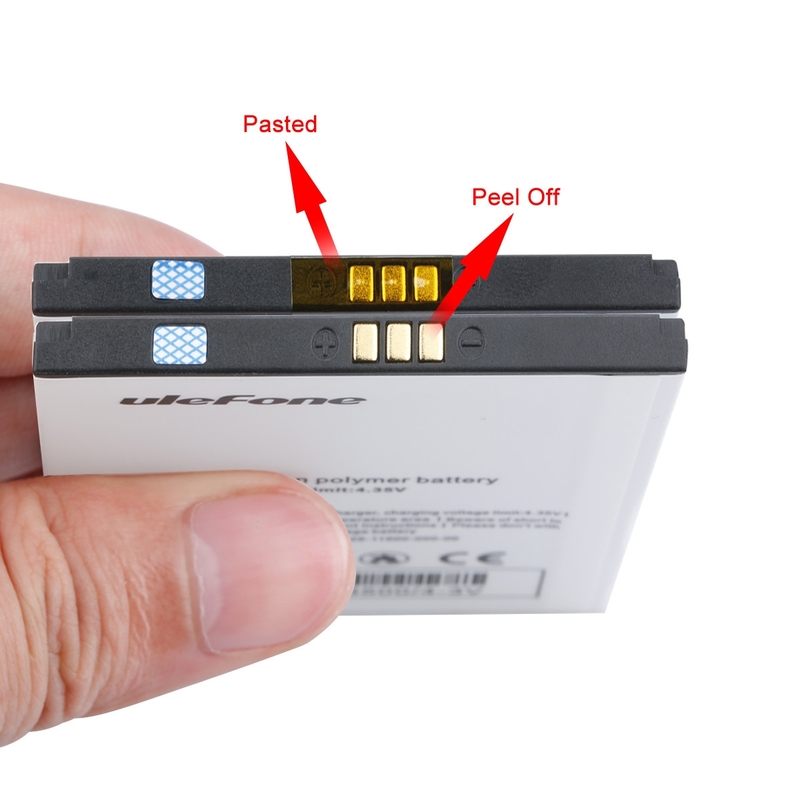 It will save you the time to find the home button because it is always there and your finger knows that. 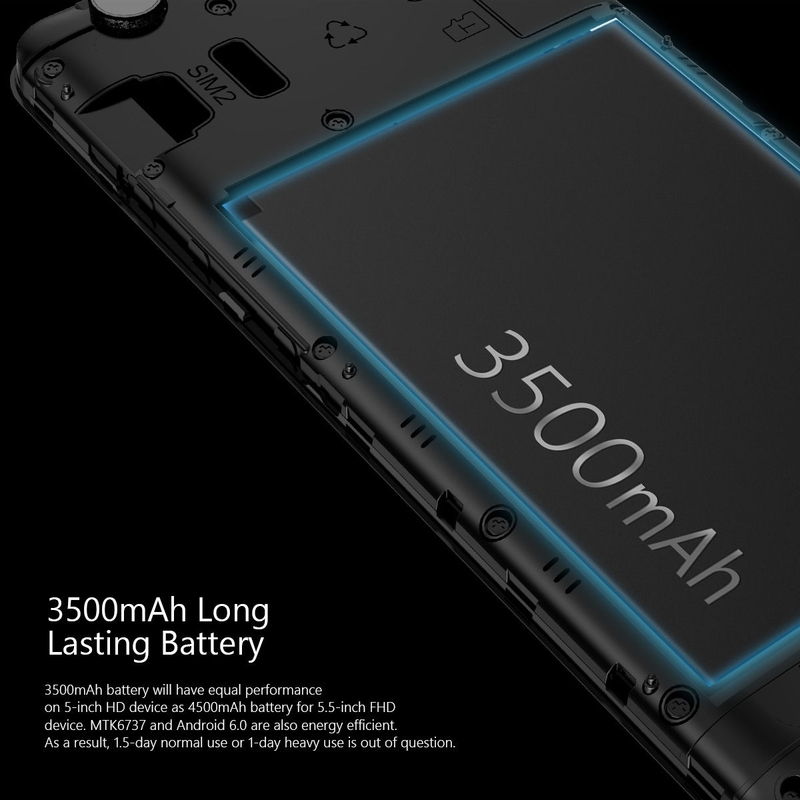 3500mAh battery will have equal performance on 5-inch HD device as 4500mAh battery for 5.5-inch FHD device. 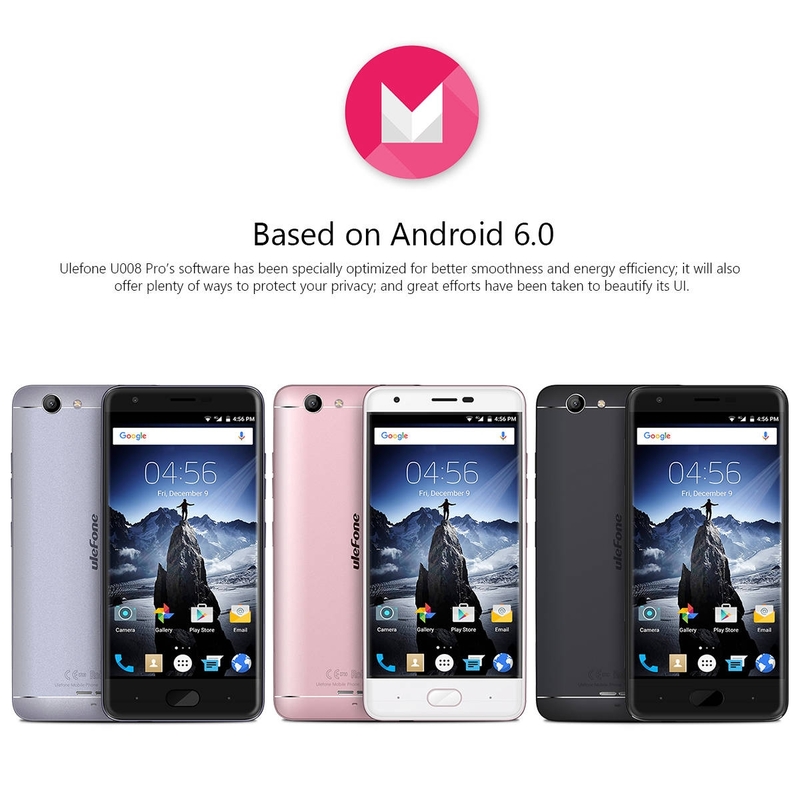 MTK6737 and Android 6.0 are also energy efficient. As a result, 1.5-day normal use or 1-day heavy use is out of question. 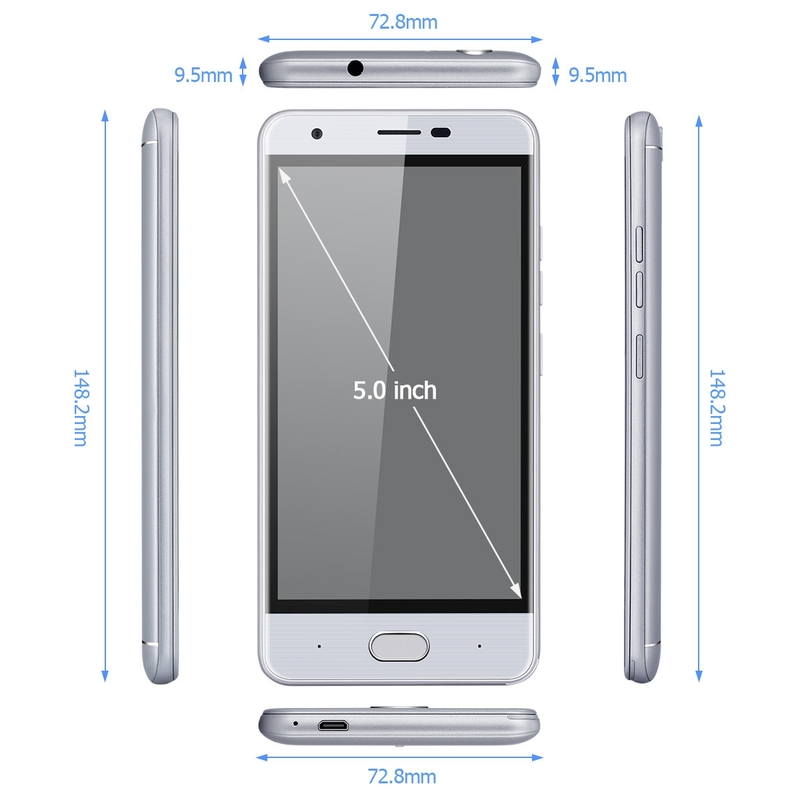 5-inch is the perfect size for both operating and viewing experiences. 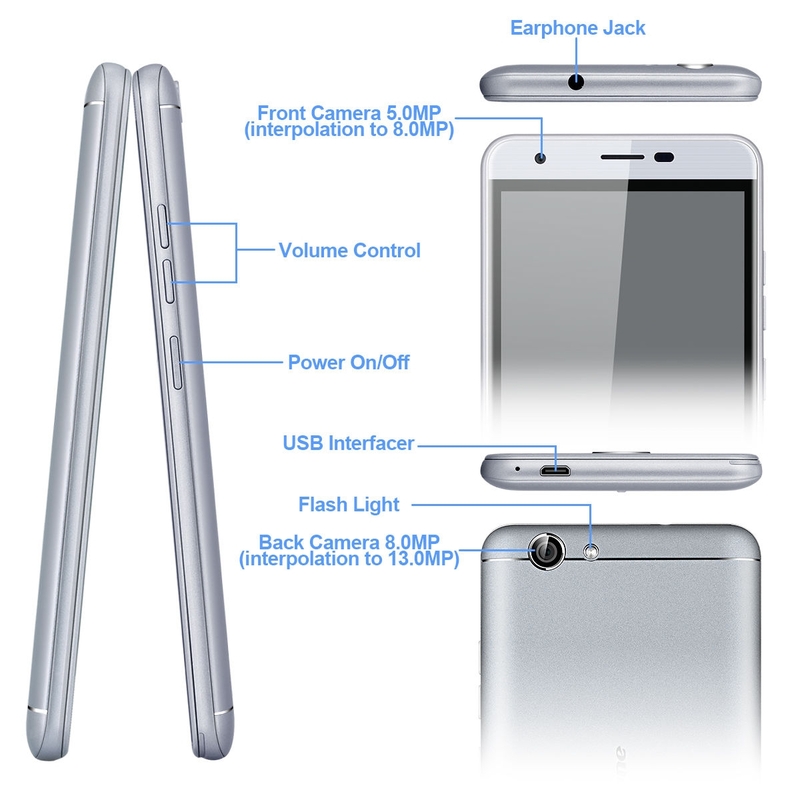 It allows you to use your phone with single hand while the 720P high resolution will offer great sharpness in images. 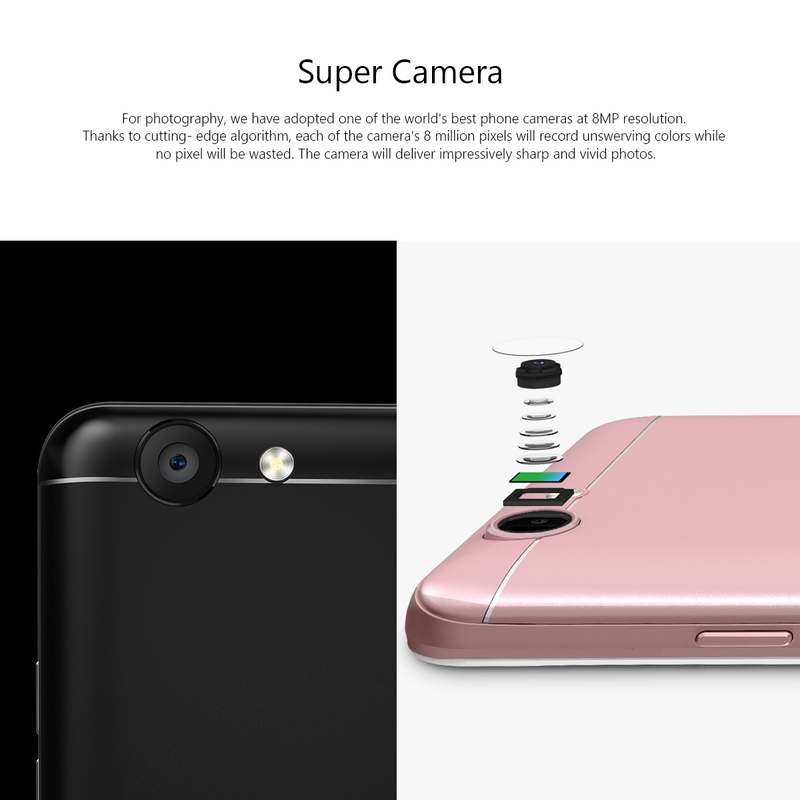 For photography, we have adopted one of the world’s best phone cameras at 8MP resolution. Thanks to cutting- edge algorithm, each of the camera’s 8 million pixels will record unswerving colors while no pixel will be wasted. 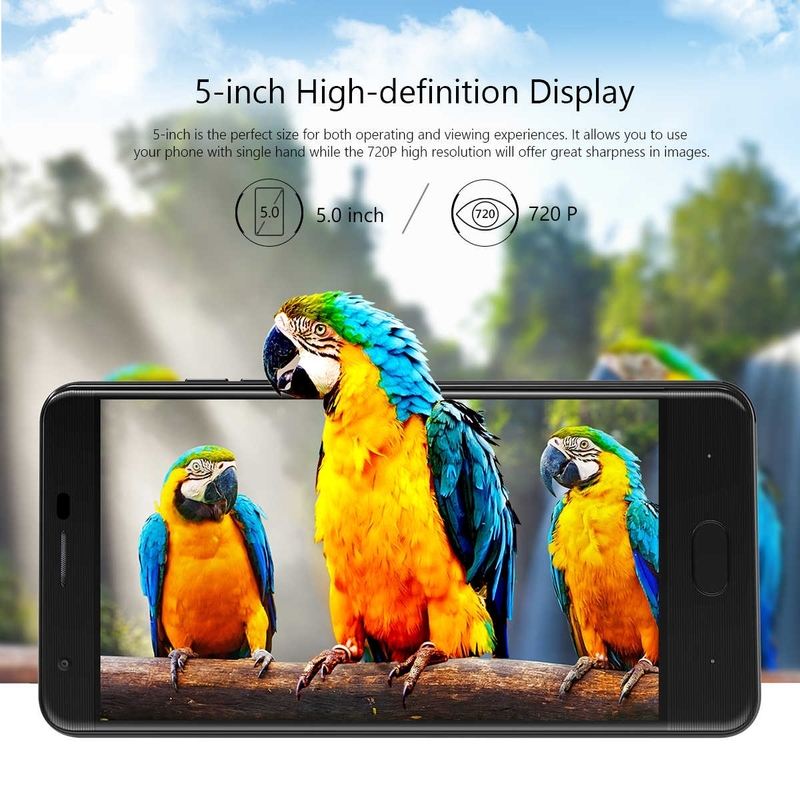 The camera will deliver impressively sharp and vivid photos. 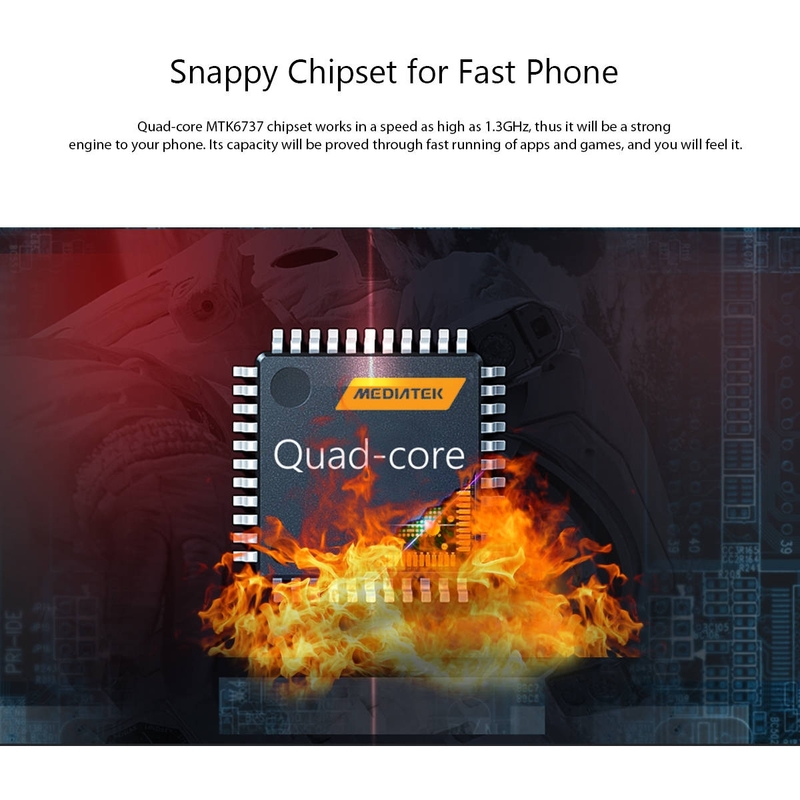 Quad-core MTK6737 chipset works in a speed as high as 1.3GHz, thus it will be a strong engine to your phone. 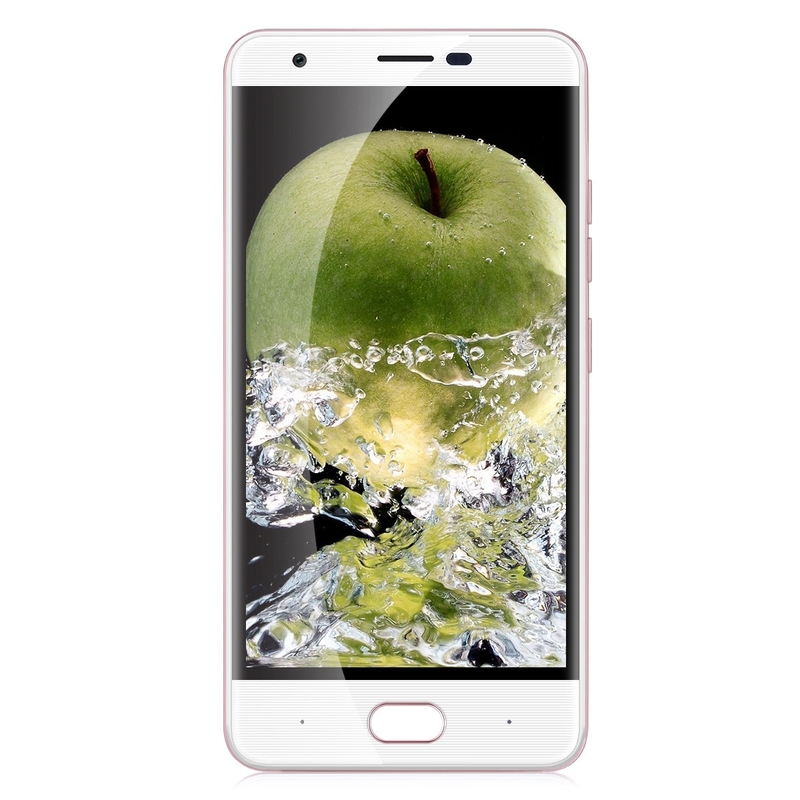 Its capacity will be proved through fast running of apps and games, and you will feel it. 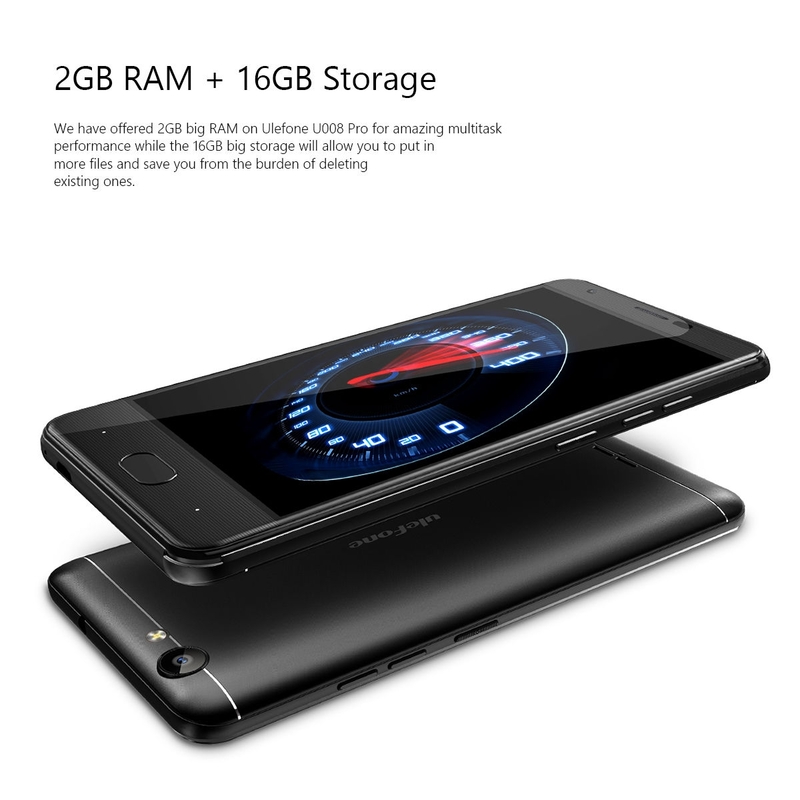 We have offered 2GB big RAM on Ulefone U008 Pro for amazing multitask performance while the 16GB big storage will allow you to put in more files and save you from the burden of deleting existing ones. 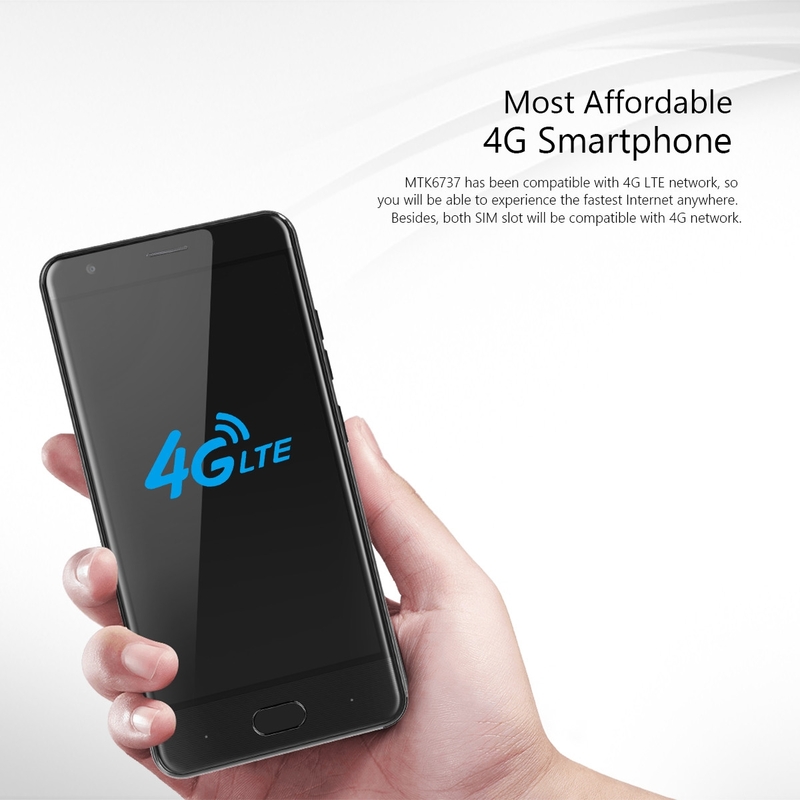 MTK6737 has been compatible with 4G LTE network, so you will be able to experience the fastest Internet anywhere. 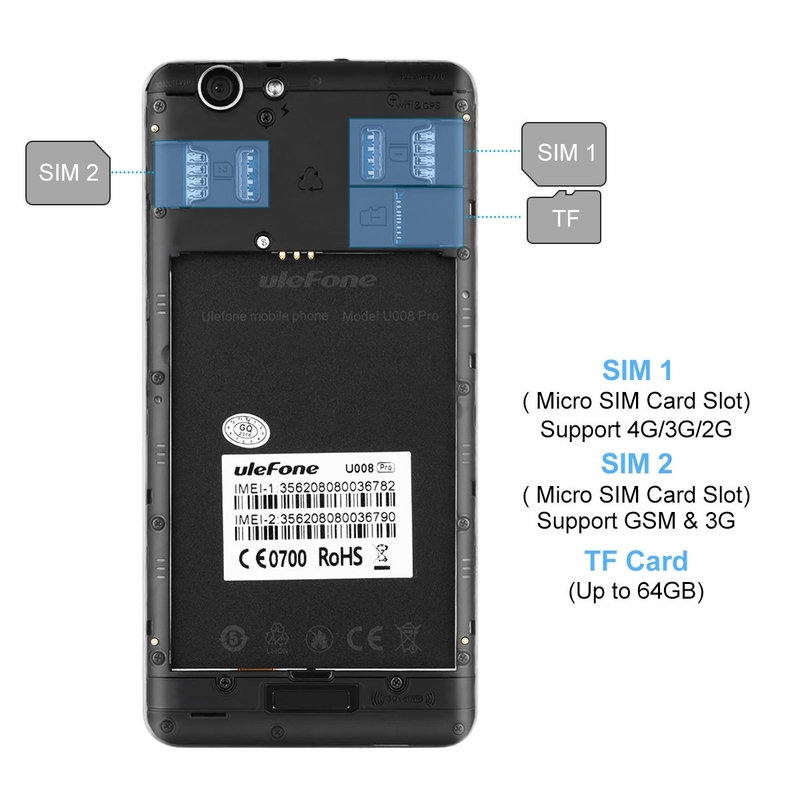 Besides, both SIM slot will be compatible with 4G network. Some function has always been employed since it appeared for the first time. But Why ? Just because it is good for use.Off-screen gesture is no doubt of this kind. *Off-screen function can be set up to your own liking. 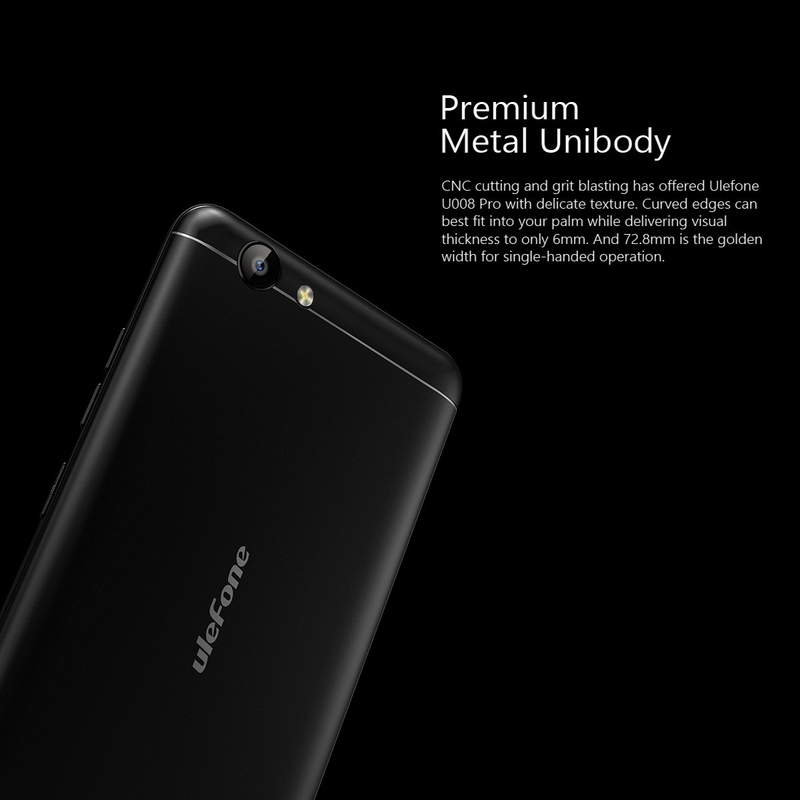 Ulefone U008’s software has been specially optimized for better smoothness and energy efficiency; it will also offer plenty of ways to protect your privacy; and great efforts have been taken to beautify its UI. FM Radio Yes, earphone is needed. 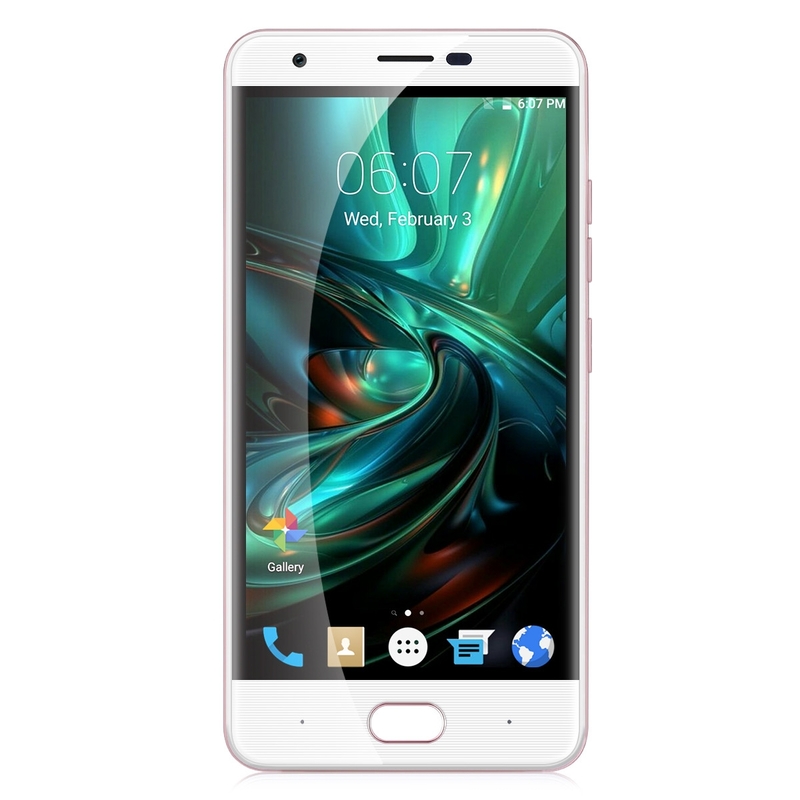 Camera/Picture Resolution Dual Cameras5.0MP(interpolation to 8.0MP) Front camera; 8.0MP(interpolation to 13.0MP) Back camera with LED Dual Flash and autofocus. 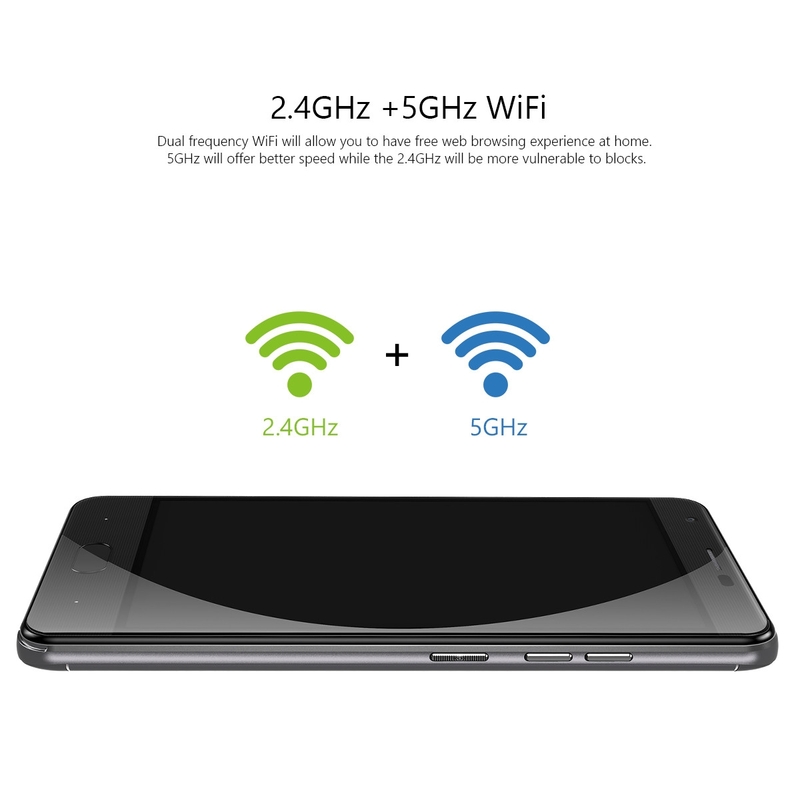 WIFI Yes, 2.4GHz + 5GHz 802.11a/b/g/n. 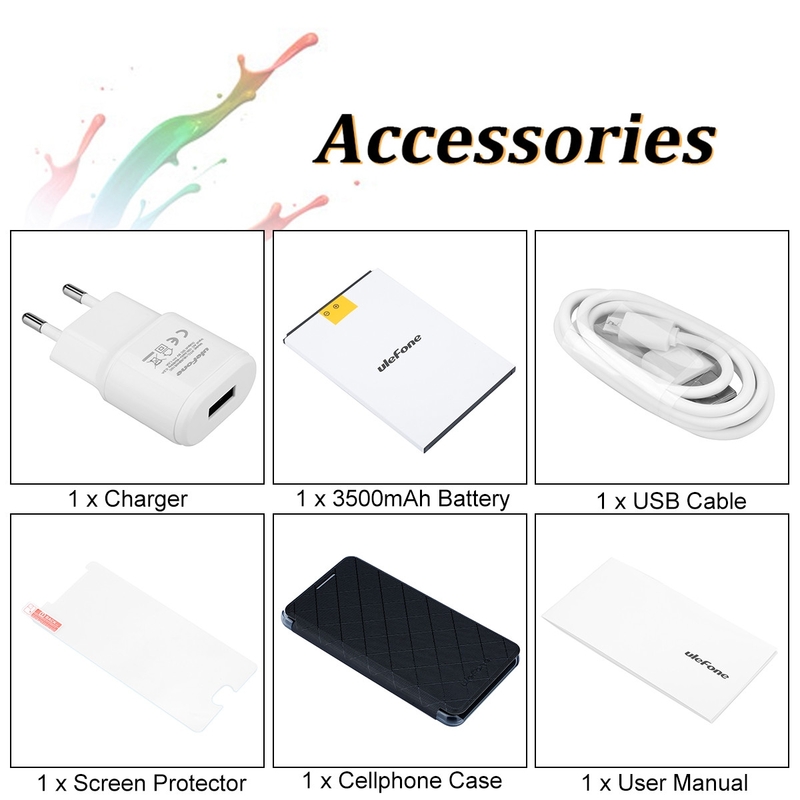 Physical Home Key,Gesture Unlock,Play Store, Smart Power saving mode, Tethering & portable hotspot,etc.